Simple, yet dazzling. 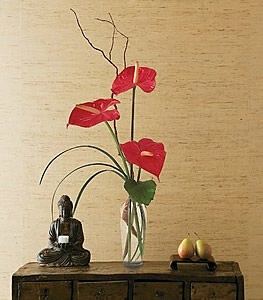 These red anthuriums in a simple bud vase add just the right touch. Three red anthuriums, along with stylish foliage, arrive in a glass bud vase. Note: This item may require 24 hours notice in some areas.